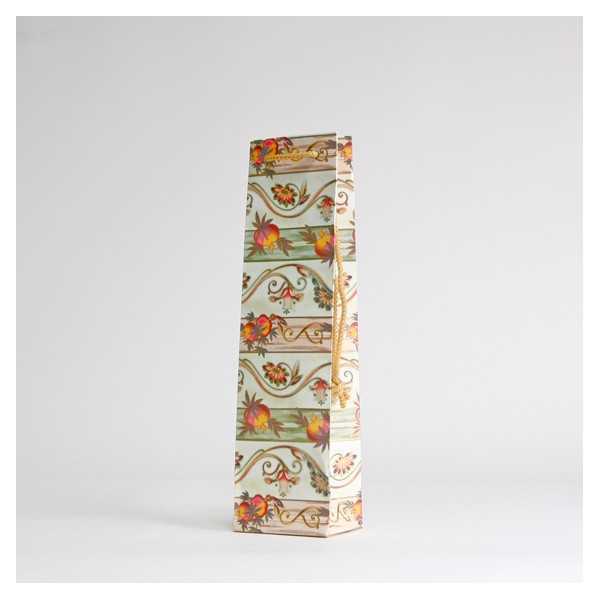 The NOBLESSE paper bottle bag with pattern is made from coated 170 g/sqm paper. Upper edges are strengthened and the bottom is pasted and reinforceded. A carton contains 100 units. You want to customize this product with your own logo ? Contact our team by email on info@centurybox.be???????? ?